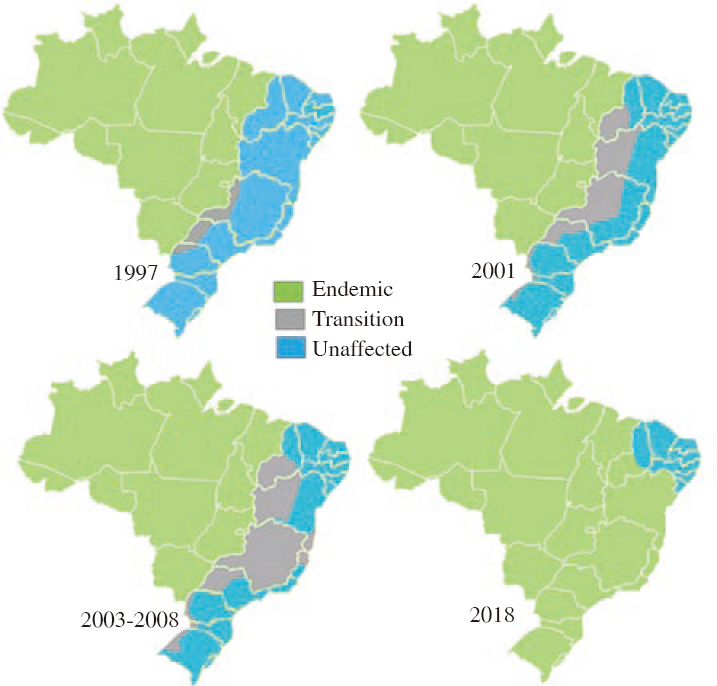 Figure 5: Areas considered endemic (green), of transition (grey), and uninfected (blue) in the years 1997, 2001 and 2003-2008. Transition areas increased and unaffected areas decreased. Uninffected areas begin to be classified as potential risk.